1. What is the Amicus Database source? When you choose any of our value packages, you will be able to access the Amicus database sets from Caveats – legal documents lodged by purchasers with the Singapore Land Authority. This means that you can target DNC cleared consumer-pools which are most likely to buy and use products or services your business provides. Target by gender, age group, district and housing type. Confirmation of Broadcast time slot: Online payments entitle you to an instant confirmation for your broadcast time slot, as long as a 3 day lead time is provided. 5. Are there more plans? If you are looking for more plans to market your business better, or to improve your company’s communications, book your appointment slot with us. We’ll be able to provide you with more ideas, insight into your industry’s competitors and pricing options that better suit your business’s needs. Book your slot here (subject to availability). 2. 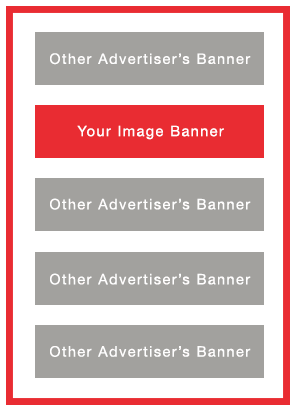 What is a shared E-Newsletter banner? The shared e-newsletter banner is whereby your image banner is displayed among a series of banners sharing space in our e-Newsletter. The recipients belong to a list of opt-in Business Owners and Marketers who are familiar with our company and services; who are receptive to receiving news and updates from us. Great for appealing to a fresh base of prospects who are interested in deals and promotions. A PDPA clearance letter will be included with every SMS database marketing broadcast you make. This ensures that you have valid documentation to prove that your broadcasts are PDPA compliant – all outgoing messages are ONLY delivered to consumer-pools which are DNC cleared so that you are market your business with confidence.